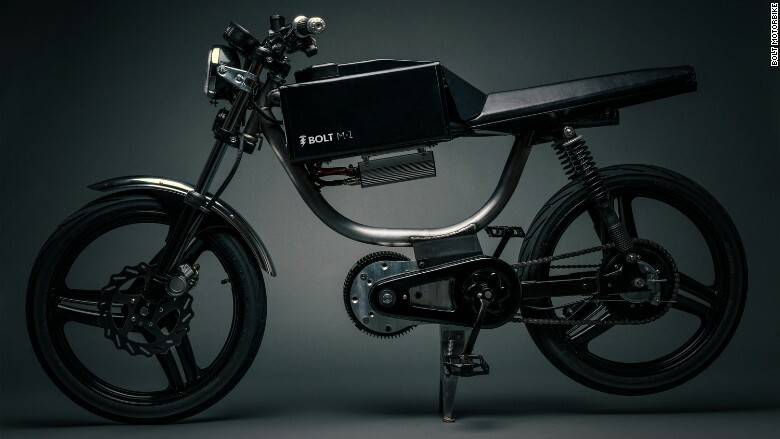 Bolt's electric hybrid motorcycle-bicycle can be ridden up to 35 miles on one charge, and it takes five hours to fully charge the battery. There's no clutch and there are no gears to shift. Since it's also a bicycle, you can park it on the street and on sidewalks. There's also no need to get a special license to ride one. The bike looks like something out of "Mad Max," and was one of CNNMoney producer Jack Regan's CES favorites.